I recently stumbled across a file format known as Intel HEX. As far as I can gather, Intel HEX files (which use the .hex extension) are meant to make binary images less opaque by encoding them as lines of hexadecimal digits. Apparently they are used by people who program microcontrollers or need to burn data into ROM. In any case, when I opened up a HEX file in Vim for the first time, I discovered something shocking. Here was this file format that, at least to me, was deeply esoteric, but Vim already knew all about it. Each line of a HEX file is a record divided into different fields—Vim had gone ahead and colored each of the fields a different color. set ft? I asked, in awe. filetype=hex, Vim answered, triumphant. Perhaps more importantly, while we’re asking questions, why does exiting Vim involve typing :wq? Sure, it’s a “write” operation followed by a “quit” operation, but that is not a particularly intuitive convention. Who decided that copying text should instead be called “yanking”? Why is :%s/foo/bar/gc short for “find and replace”? Vim’s idiosyncrasies seem too arbitrary to have been made up, but then where did they come from? The answer, as is so often the case, begins with that ancient crucible of computing, Bell Labs. In some sense, Vim is only the latest iteration of a piece of software—call it the “wq text editor”—that has been continuously developed and improved since the dawn of the Unix epoch. ed is now a part of the POSIX specification, so if you have a POSIX-compliant system, you will have it installed on your computer. It’s worth playing around with, because many of the ed commands are today a part of Vim. In order to write a buffer to disk, for example, you have to use the w command. In order to quit the editor, you have to use the q command. These two commands can be specified on the same line at once—hence, wq. Like Vim, ed is a modal editor; to enter input mode from command mode you would use the insert command (i), the append command (a), or the change command (c), depending on how you are trying to transform your text. ed also introduced the s/foo/bar/g syntax for finding and replacing, or “substituting,” text. ed doesn’t allow you to edit lines in place among the other lines of the open buffer, or move a cursor around, because ed would have to reprint the entire file every time you made a change to it. There was no mechanism in 1969 for ed to “clear” the contents of the screen, because the screen was just a sheet of paper and everything that had already been output had been output in ink. When necessary, you can ask ed to print out a range of lines for you using the list command (l), but most of the time you are operating on text that you can’t see. Using ed is thus a little trying to find your way around a dark house with an underpowered flashlight. You can only see so much at once, so you have to try your best to remember where everything is. Isn't it a nice day? Isn't it a terrible day? As you can see, ed is not an especially talkative program. In 1976, Coulouris brought em with him to UC Berkeley, where he spent the summer as a visitor to the CS department. This was exactly ten years after Ken Thompson had left Berkeley to work at Bell Labs. At Berkeley, Coulouris met Bill Joy, a graduate student working on the Berkeley Software Distribution (BSD). Coulouris showed em to Joy, who, starting with Coulouris’ source code, built out an improved version of ed called ex, for “extended ed.” Version 1.1 of ex was bundled with the first release of BSD Unix in 1978. ex was largely compatible with ed, but it added two more modes: an “open” mode, which enabled single-line editing like had been possible with em, and a “visual” mode, which took over the whole screen and enabled live editing of an entire file like we are used to today. ex/vi (henceforth vi) established most of the conventions we now associate with Vim that weren’t already a part of ed. The video terminal that Joy was using was a Lear Siegler ADM-3A, which had a keyboard with no cursor keys. Instead, arrows were painted on the h, j, k, and l keys, which is why Joy used those keys for cursor movement in vi. 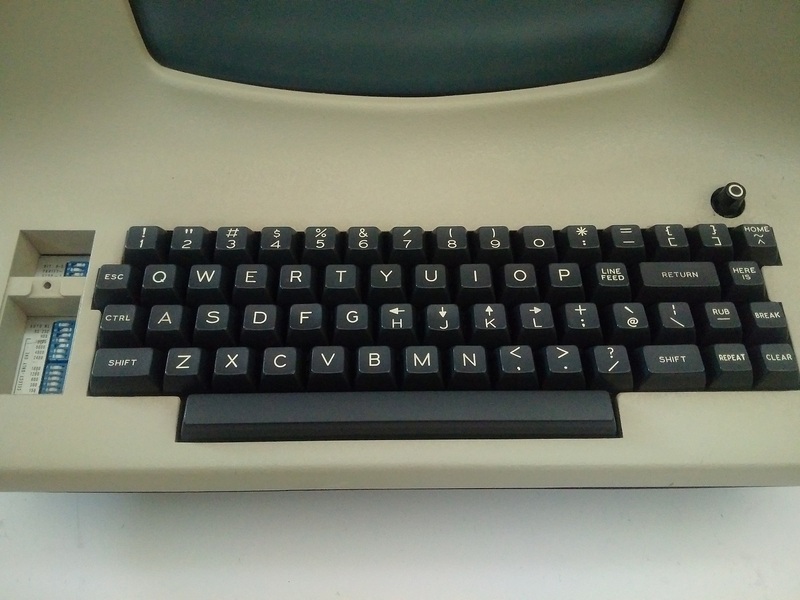 The escape key on the ADM-3A keyboard was also where today we would find the tab key, which explains how such a hard-to-reach key was ever assigned an operation as common as exiting a mode. The : character that prefixes commands also comes from vi, which in regular mode (i.e. the mode entered by running ex) used : as a prompt. This addressed a long-standing complaint about ed, which, once launched, greets users with utter silence. In visual mode, saving and quitting now involved typing the classic :wq. “Yanking” and “putting,” marks, and the set command for setting options were all part of the original vi. The features we use in the course of basic text editing today in Vim are largely vi features. “Vim”, which now abbreviates “Vi Improved”, originally stood for “Vi Imitation.” Like many of the other vi clones, Vim began as an attempt to replicate vi on a platform where it was not available. Bram Moolenaar, a Dutch software engineer working for a photocopier company in Venlo, the Netherlands, wanted something like vi for his brand-new Amiga 2000. Moolenaar had grown used to using vi on the Unix systems at his university and it was now “in his fingers.”10 So in 1988, using the existing STEVIE vi clone as a starting point, Moolenaar began work on Vim. Moolenaar liked STEVIE but quickly noticed that there were many vi commands missing.12 So, for the first release of Vim, Moolenaar made vi compatibility his priority. Someone else had written a series of vi macros that, when run through a properly vi-compatible editor, could solve a randomly generated maze. Moolenaar was able to get these macros working in Vim. In 1991, Vim was released for the first time on Fred Fish disk 591 as “Vi Imitation.”13 Moolenaar had added some features (including multi-level undo and a “quickfix” mode for compiler errors) that meant that Vim had surpassed vi. 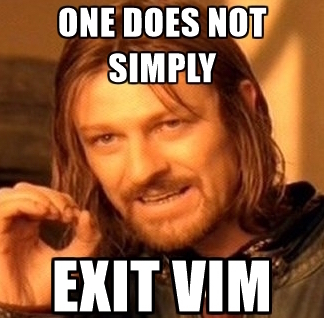 But Vim would remain “Vi Imitation” until Vim 2.0, released in 1993 via FTP. Moolenaar, with the occasional help of various internet collaborators, added features to Vim at a steady clip. Vim 2.0 introduced support for the wrap option and for horizontal scrolling through long lines of text. Vim 3.0 added support for split windows and buffers, a feature inspired by the vi clone nvi. Vim also now saved each buffer to a swap file, so that edited text could survive a crash. Vimscript made its first appearance in Vim 5.0, along with support for syntax highlighting. All the while, Vim’s popularity was growing. It was ported to MS-DOS, to Windows, to Mac, and even to Unix, where it competed with the original vi. In 2006, Vim was voted the most popular editor among Linux Journal readers.14 Today, according to Stack Overflow’s 2018 Developer Survey, Vim is the most popular text-mode (i.e. terminal emulator) editor, used by 25.8% of all software developers (and 40% of Sysadmin/DevOps people).15 For a while, during the late 1980s and throughout the 1990s, programmers waged the “Editor Wars,” which pitted Emacs users against vi (and eventually Vim) users. While Emacs certainly still has a following, some people think that the Editor Wars are over and that Vim won.16 The 2018 Stack Overflow Developer Survey suggests that this is true; only 4.1% of respondents used Emacs. How did Vim become so successful? Obviously people like the features that Vim has to offer. But I would argue that the long history behind Vim illustrates that it had more advantages than just its feature set. Vim’s codebase dates back only to 1988, when Moolenaar began working on it. The “wq text editor,” on the other hand—the broader vision of how a Unix-y text editor should work—goes back a half-century. The “wq text editor” had a few different concrete expressions, but thanks in part to the unusual attention paid to backward compatibility by both Bill Joy and Bram Moolenaar, good ideas accumulated gradually over time. The “wq text editor,” in that sense, is one of the longest-running and most successful open-source projects, having enjoyed contributions from some of the greatest minds in the computing world. I don’t think the “startup-company-throws-away all-precedents-and-creates-disruptive-new-software” approach to development is necessarily bad, but Vim is a reminder that the collaborative and incremental approach can also yield wonders.